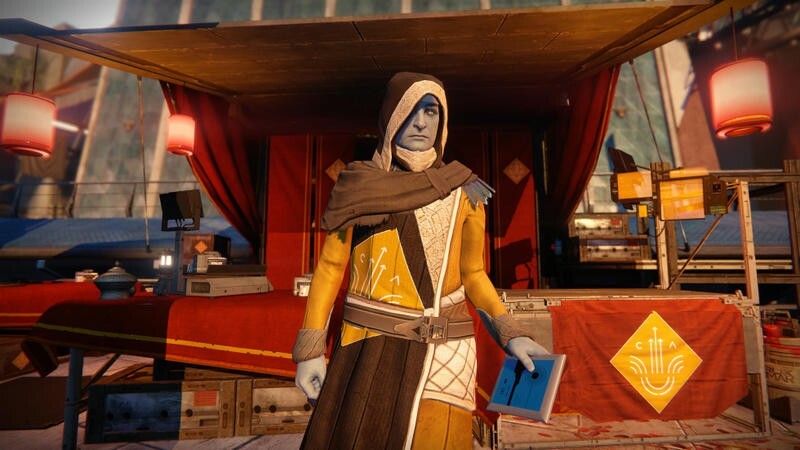 Ask anyone who's dumped significant time into Destiny about the one NPC they hate most, and I bet the odds are that they'll say it's the Cryptarch. This master troll is the one who decrypts engrams. Those are some words, right? Think of it like the Identify Scrolls in Diablo. You find loot that needs to be identified before use in that game. Some loot works the same way in Destiny. That loot is tiered by color for rarity. Green engrams had a high chance of producing green items, blue engrams had a high chance of producing blue items and purple engrams had a high chance of producing purple items. Notice that word "chance," though? Yeah. There was nothing quite like turning some engrams into the Cryptarch that were all purple and blue only to walk away with horrible green stuff that was worse than what you already owned. This happened constantly. Now, Bungie has released a new patch for Destiny that links engram color directly to engram yield. Blue will always produce blues, and you can apply that logic to purple engrams as well. Thank the Traveller! There are some other loot related updates in the patch, too. You can read about those in the source link below. Maybe we'll hate the Cryptarch a little less now. Maybe.